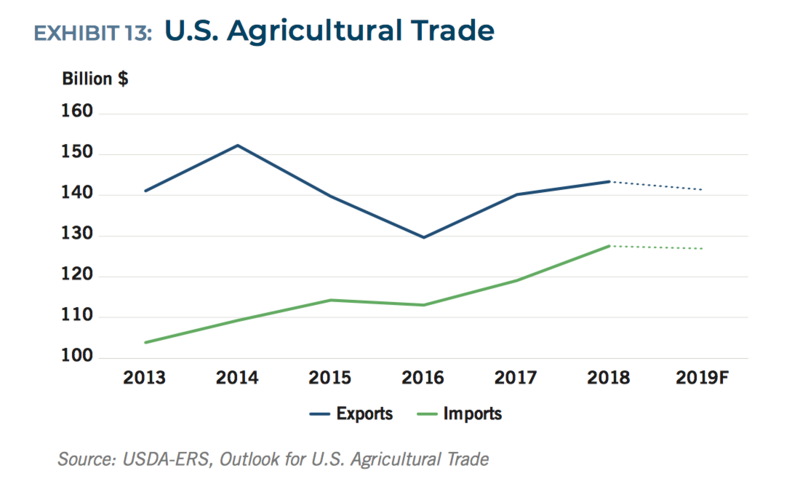 CoBank recently released a report that explored a variety of issues that will impact the U.S. agricultural economy in 2019. Meanwhile, recent news items have discussed issues associated with farm lending and farm income. Today’s update briefly highlights core points from the CoBank report, and also looks at the recent news items discussing important elements of the agricultural economy. A new report from CoBank (“The Year Ahead: Forces That Will Shape the U.S. 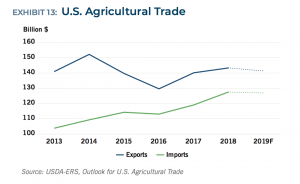 Rural Economy in 2019“) outlined ten areas of focus in assessing the year ahead, including a closer look at the U.S. farm economy and trade issues. 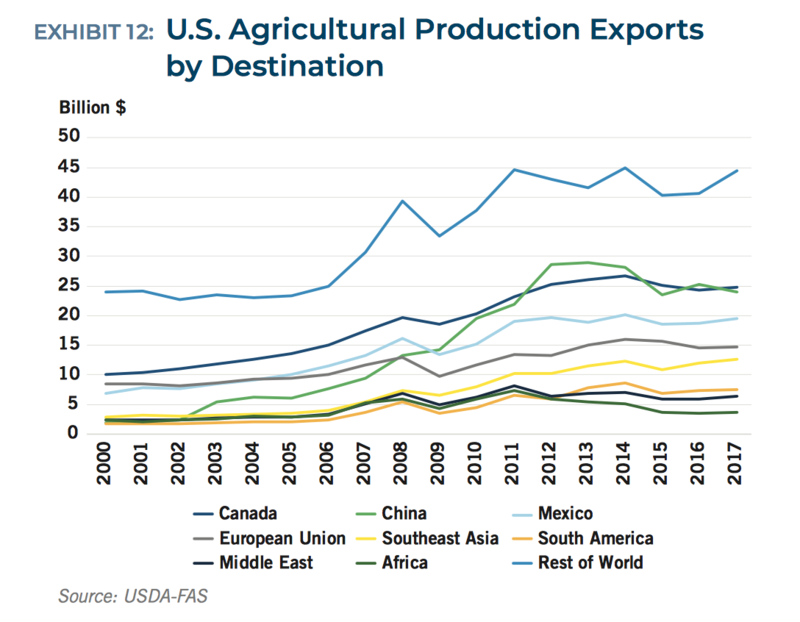 While addressing the U.S. farm economy, Tanner Ehmke indicated in the CoBank report that, “With agricultural commodity markets depressed by global supply abundance and ongoing trade disputes, farmers and ranchers face the arduous task of cutting production costs. 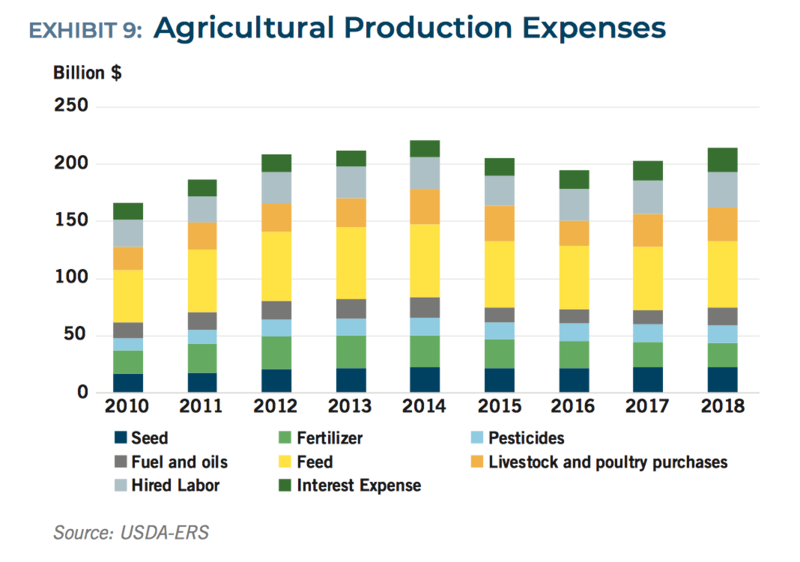 Continually rising costs in agriculture, though, are expected to squeeze farmers and ranchers, causing further margin erosion and financial stress in 2019. CoBank Knowledge Exchange Report- The Year Ahead: Forces That Will Shape the U.S. Rural Economy in 2019 (January 2019). 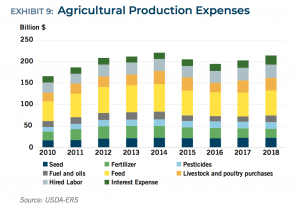 “In 2018 alone, interest expense in production agriculture rose 21 percent YoY as higher farm debt levels collided with rising interest rates,” the report said. 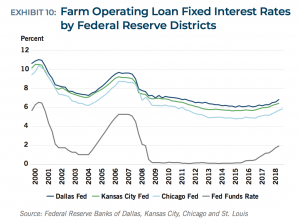 Mr. Ehmke stated that, “With a less-than-positive outlook for agricultural net farm income, demand for loans in farming households continues to grow. 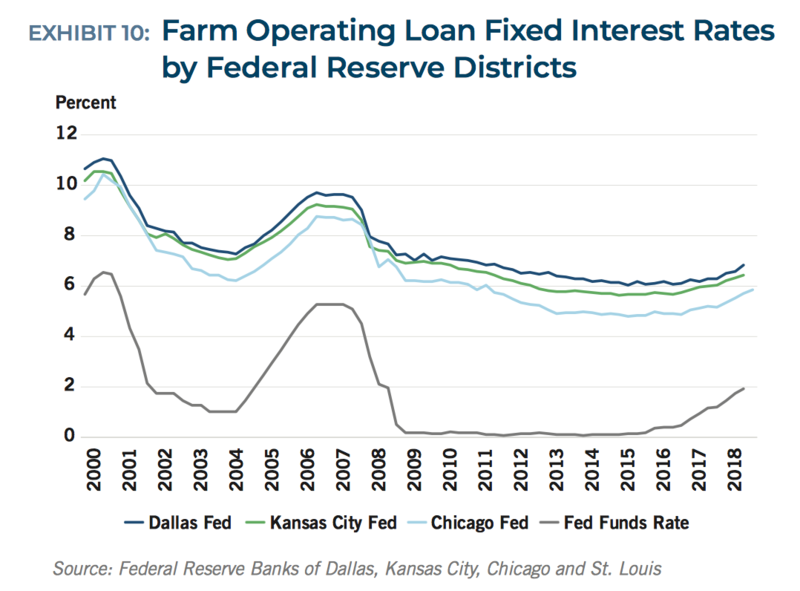 “Rural banks have already reported declining loan repayment rates and are implementing covenants on farm loans, like imposing caps on cash rents, or by raising collateral requirements. Farmers cannot bank on a fourth consecutive year of above-trend crop yields to make up for low commodity prices and rising costs. 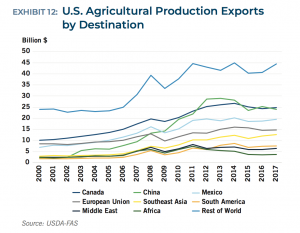 To steady the agricultural economy, and boost revenues, the sector is dependent on substantive breakthroughs in trade policy. While discussing trade issues in the CoBank report, Tanner Ehmke and Dan Kowalski noted that, “Three significant trade-related issues must be solved this year to restore some normalcy to agricultural markets: legislative approval of USMCA, removal of the steel/aluminum retaliatory tariffs, and substantive improvement of trade relations with China. Earlier this month, Minneapolis Star Tribune writer Adam Belz reported that, “Bankers in some parts of the Midwest are tightening the screws on farmers in the new year. 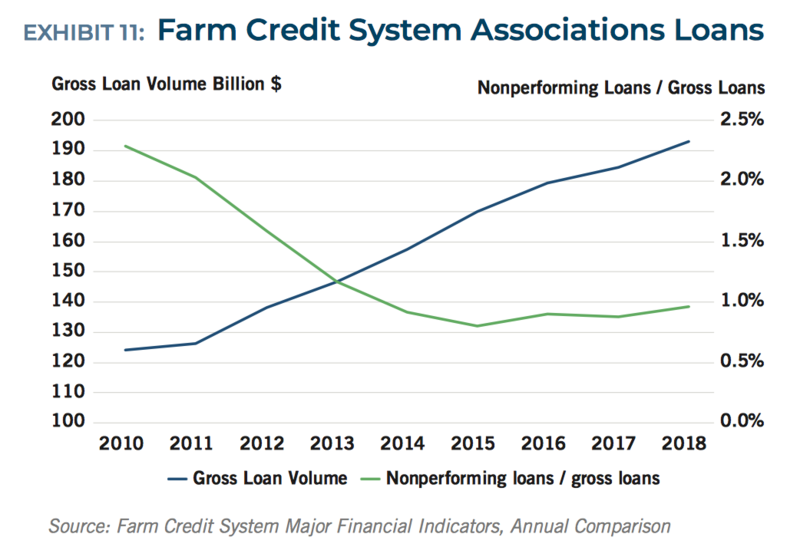 “Fifty-two percent of bankers in a 10-state area said they have boosted collateral requirements for farm loans, according to the Rural Mainstreet Index, a survey of business conditions conducted by Creighton University in Omaha. Meanwhile, a recent update at FarmWeekNow Online reported that, “U.S. farmers likely will have to borrow more money to plant their crops this year. 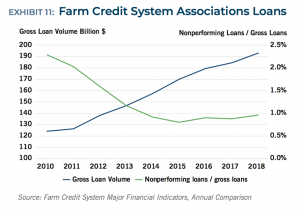 “That’s one projection from a recent survey of ag lenders. Brady Brewer, assistant professor of ag economics at Purdue University, discussed the survey and farm credit conditions recently at Purdue’s Top Farmer Conference.